Rodney is the firm's Director of Financial Planning. He is a Certified Financial Planner™ with his series 7, 66 FINRA registrations and holds both life and health insurance licenses. 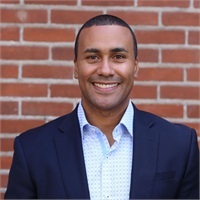 He received his bachelor’s degree in business administration from Linfield College in McMinnville, Oregon, and continued his pursuit of higher education at Warner Pacific College in Portland, Oregon where he received his master’s in management and organizational leadership. Rodney, his wife Kira and son Makaih, are native Oregonians who are passionate about the outdoors including, trail running, biking, stand-up paddle boarding, skiing, and CrossFit.